In the news: Jean-Jacques Taylor, Gabriel Roxas & Ron Corning. Your friendly content provider has just returned from 16 days worth of the Television Critics Association “press tour” in Southern California. And boy, are my mental faculties tired. ***NBC5 has added Jean-Jacques Taylor to its sports staff, where he’ll be the designated “Cowboys Insider” in time for the team’s Sept. 10th regular season opener at home against the New York Giants. Taylor said he’ll continue co-hosting J Dub City with Will Chambers from 9 a.m. to 1 p.m. weekdays on ESPN Dallas radio (103.3 FM). “Six great years of working with a collection of talented reporters and editors at ESPN positioned me to land a fantastic opportunity like this,” Taylor said. He’l be joining longtime head sports anchor Newy Scruggs and reporter/anchor Pat Doney and “making it do what it do,” as Taylor put it. ***CBS11 and reporter Garbriel Roxas have parted ways after his two-and-a-half-year stint with the station. Roxas’ last day was on Sunday, July 23rd, director of communications Lori Conrad confirms. Roxas since has joined Plano-based The Karahan Companies as director of consumer engagement, he said via a Twitter message. Karahan specializes in real estate development, property management and investments. There’s no word yet on a replacement for Roxas at CBS11. 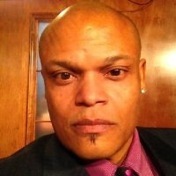 He joined the station in December 2014 from Sacramento’s ABC affiliate station, KXTV-TV (News 10) after earlier stints at TV stations in Yakima, WA and Lexington, KY.
***This is the opposite of a lucky break. 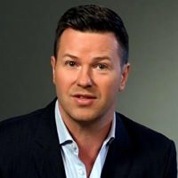 Ron Corning, co-anchor of TEGNA8’s early morning Daybreak program since April 2011, recently “wiped out on a slippery concrete deck” during a house tour in Santa Fe, NM. As Corning further reports on an August 13th Facebook post, he “came down squarely on my left knee.” Three hours of surgery later, he found himself in a full straight leg cast for a minimum of six weeks. We wish him a full and quick recovery here at unclebarky.com. ***”HD Chopper 8” is no more, at least as a separate entity. Sources tell unclebarky.com that TEGNA8 is selling its helicopter as the result of a corporate budget-trimming mandate. The station is now time-sharing a Robinson R66 flying machine with Fox4 and CBS11 via Sky Helicopters at the Garland/DFW Heliport. NBC5 continues to lease a Robinson 44 chopper through Sky Helicopters. TEGNA8 president and general manager Mike Devlin has a standing “no comment” policy with unclebarky.com. Sources say he had to make the tough choice to bid adieu to HD Chopper 8, ending the station’s long run as the only D-FW TV news station with its own, independently owned helicopter.